Artificial intelligence (AI) is a major talking point in the insurance industry worldwide. Some see AI as a bright future of opportunity; others see it as a destructive threat to the traditional agent. One thing’s for sure, either way: the industry can’t afford bury its head in the sand. Ontario-based insurance brokers, McDougall Insurance & Financial, recently invested in a website chatbot that answers customer queries automatically. This investment in AI led to the brokerage receiving the Keal Technology Award for Digital Innovation at the Insurance Business Canada Awards 2017. McDougall Insurance didn’t just buy the chatbot and leave it to run the business. Rather, the company questioned the bot’s “rudimentary intelligence” and tweaked the tool so that a human could step in whenever necessary. “We are 100% customer-focused. We didn’t want our customers’ questions to go unanswered because the chatbot broke down or couldn’t find the right answer,” explained Kelly McKinney, vice president of marketing and digital at McDougall. The reality is that humans don’t work 24-hours a day, but chatbots can. This has caused a few “bumps in the road” for McDougall Insurance, particularly when customers ask difficult questions outside of average work hours. 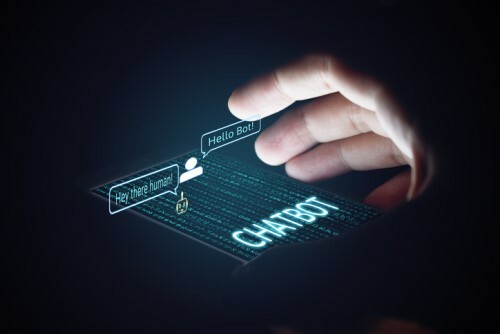 Chatbots can “end up getting frustrating”, McKinney admitted, especially if companies use them to solve all external communication and then bury alternative contact information on their websites. That’s precisely the type of “corner-cutting” that McDougall has avoided. “We want to make people’s lives easier with our digital solution,” McKinney added. “As a piece of AI, the chatbot is quite rudimentary, but it’s getting better every day,” he said. “We meet with the company that set it up about once a month and we review the kind of questions customers are asking to see if we can help them tweak the software so that it can answer more questions. It’s getting better and better all the time, which is really exciting. McDougall Insurance didn’t dive into AI head-first. The brokerage is taking a cautious approach, with a “close eye on return on investment”. After all, ROI is what it all comes down to, McKinney said.